The New Ipad is here and it features improvements that were much anticipated, namely a very high resolution display, a much better camera and support for 4G LTE networks. These three features are truly the “meat” of the upgrade, especially from a hardware perspective. To continue supporting its tablet line of products, Apple has kept the entry price at $499, which is competitive for a high-end tablet, but the new iPad costs a bit more to build than the iPad 2 did, so margins will likely go down. The updated tablet also comes with an update of the A5 chip (or SoC), called the A5X. It has been upgraded to support the higher resolution, and packs twice the graphics power of the iPad 2. that’s more than needed to handle four times as many pixels. Without a doubt, the new display is the star of the show, but is the iPad as good as it seems? We have the answer to that. Terabytes of data are very common nowadays, with most desktop computers sporting at least 1-2TB hard disk drives. While it’ll be awhile more before we see that number increase by a significant amount, it looks like Seagate is on its way to being the first company to push out such products in the market. The company announced today that it has become the first hard drive maker to achieve the milestone storage density of 1 terabit per square inch – which will allow it to produce 3.5″ hard disk drives with capacities of up to 60TB over the next 10 years, while 2.5″ hard drives will be able to reach 20TB. It’s amazing how far technology has progressed, especially when I think back about the days where a 4GB hard disk was considered huge. How large is your hard disk now, and do you ever find yourself running out of space constantly? If you have a penchant for spilling drinks on your speakers and are tired of having to replace them, you either a) change where you place them or b) get some waterproof resistant speakers. This is where the G-GO from Boombang (the company behind Soundfreaq speakers) comes in. Designed for folks who like their music with them everywhere – be it outdoors, in the shower, or next to the dinner table, these wireless speakers are completely portable and meant to travel. The speakers are powered by AA batteries and provide up to 8 hours of playtime. Not to mention there’s no need to spend time recharging the speakers – just pop in a new set of batteries and you’re good to go. In fact, the G-GO can even be used to charge your mobile devices via USB if the need ever arises. The G-GO works over Bluetooth which means it can pretty much support every smartphone on the market today. It is available now in three colors – black, white and metallic blue and will set you back $69. If you’re always on the go and you’re looking for a portable media player and don’t want to drain your smartphone’s batteries watching videos you might want to check out Ematic’s eSport Clip. Launching today, the eSport Clip features a 1.8″ color display for playing your videos, images or even eBooks and text files that you might want to read. It may be a bit tiny when compared to your smartphone, but I guess it’s better than having no entertainment at all. Other features include the ability to play music when you’re not in the mood for reading or watching shows, and a 5-megapixel digital camera for taking photographs or shooting videos. It features a USB 2.0 connection for connecting to your computer, and has 4GB of internal memory which translates to about 2,300 songs or 20 hours of video (of course that depends on the quality of the files). It is available now and carries a price tag of $22.00. While patents are said to be the newest form of corporate ammunition between companies, what you are about to read might just take things a little bit too far. It seems that RIM and Samsung’s decision to throw in a quick-access key that allows you to access emoticons on your smartphone in a jiffy, patent trolls are rather upset about this situation, and have decided to go to the court of law. Paid Content claims that Varia Holdings are peeved about the development, touting that BlackBerry handsets as well as the Galaxy Nexus from Samsung infringe on their patent which “results in the display of a list of emoticons for selection by the user.” What do you think of this particular lawsuit? Hopefully it gets thrown out of court, as no one in their right mind ought to own a patent to emoticons. Hopefully the folks at Varia Holdings do not use a BlackBerry smartphone or own a Galaxy Nexus, and neither should their immediate family members if they are adamant on going the whole nine yards with this. NEC Lighting has taken one of Thomas Edison’s most famous inventions – the light bulb, and injected it with wireless speaker capability. Of course, we are talking about this light bulb being power efficient in order to keep up with the times, hence it comes in the form of an LED ceiling light, where you are able to control it with your smartphone using an Android app. Once a Bluetooth connection is established, it will be able to stream music straight from your smartphone to the speaker, and the very same app can also control the different aspects of lighting, including brightness and color temperature. Not only that, you can create effects by synchronizing audio with the light, turning your pad into some sort of smart ambient lighting room. I guess this is perfect to set the tone for the evening if you are going to celebrate an occassion with a special person. This demo system currently boasts a trio of preset modes, merging light and sound effects, where you are able to select from Active, Natural, or Relaxed modes in order to match your mood. There are a quite a number of live-action Grand Theft Auto parody videos floating around the internet, but here’s a new one that’s been done pretty well. Instead of a third-person camera like we see in the game, the folks behind the video decided to recreate the game in first-person, which leads to some pretty funny escapades. While it’s not going to garner any awards for best video clip based on a game, it’ll help you pass the time while waiting for the next installment in the GTA series. Check out the video embedded above. Ah, there is nothing quite as heartbreaking as seeing a spanking new gadget fall with a thud to the ground – and for today, we have the new iPad going up against the iPad 2, being dropped on the floor and then having the results compared with one another. First of all, both tablets were dropped from the average waist height, face up, followed by another drop – face down. In between, there were drops from shoulder height, so check out the results for yourself in the video above. It seems to be as though the new iPad fared better than the iPad 2 (just slightly, but then again that depends on which type of rose-tinted glasses you are wearing), but that does not mean the end result is pretty. It probably would not have been that painful if the new iPad used in the experiment were part of the overheating posse. This reminds me of the painful iPhone 4S versus the Samsung Galaxy S2 drop test which we looked at in October last year. Just what can you do with your Web browser? Well, apart from surfing the Internet and checking your emails, you might want to check out team Lab Music beta – this is a Chrome browser-based music collaboration app. Currently, the app remains in its early stages, although they do have the current theme of “Happy Birthday” playing. The main objective of team Lab Music beta would be to help connect people for quick online jam sessions. For those who want to kick off an impromptu jam session, all you need to do is install the app and hook it up to your Twitter account, and you are good to go. Subsequently, you are able to invite another 9 friends to join your room, where each of them is able to select a different instrument. The sounds all hail from actual recordings of instruments, and if you want some action thrown into the mix, use a Mac – as the sounds there are created by using the built-in drop sensor. Literally speaking, you are able to shake your computer just to jam. If you happen to be at SxSW 2012 or dropped by for a while, you might have caught the FedEx human power couriers walking around. These folks are not there to help deliver a package or document, but rather, they walk around, giving opportunities to SxSW 2012 attendees who have gadgets that have run low on battery power. Wearing special FedEx jackets and pants that have been outfitted with mophie juice pack powerstation battery packs, you know for sure that you can let your iPhone run out of juice without missing a beat. It would have been nicer if there were Energizer or Duracell representatives there, as a testament to some of their portable power packs that run on either an internal battery, or use AA/AAA batteries inside. Whatever the case is, always make sure you juice up your smartphones and tablets the night before you head out to the showfloor, it would save you a whole lot of heartache and trouble. Most of the time, movies being made into video games tend to see the latter suffer, even more so when a movie is particularly bad. Well, there are exceptions to the rule, but those are far and few in between, which is what made them ‘exceptions’ in the first place. Well, in other instances, you have movies being made out of video games, and this is an even sadder scenario, as most of these video game inspired movies tend to be lemons. Basically, Battleship pits you in a situation where you fight for the planet’s survival against an incoming alien invasion, and as an elite soldier, the task on your shoulders would be to save the world. Yes sir, and most of the time, the hero ends up with the leading lady, but I am not quite sure whether this is the case with the Battleship video game. Go on, check out the trailer above, and see whether it is going to convince you into purchasing the game. I do remember that there was some sort of argument some time back, where in the blue corner stood supporters of the calculator, while at the opposite corner were abacus fans. Needless to say, the abacus beat the calculator when it came to extremely complex calculations, and I guess that the result should put all arguments to bed as to which is the faster tool to arrive at a conclusion. 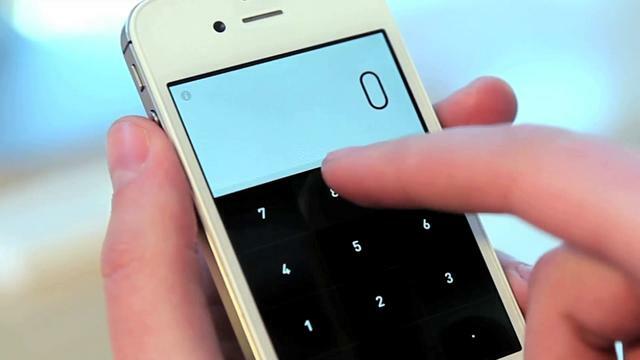 When it comes to the built-in calculators in our smartphones these days, we barely give them a second look. Enter the Rechner gesture-based calculator, where it is the first calculator in the world that relies on gestures to replace common operators such as addition, subtraction, and equal signs. All you need to do is swipe your finger across the screen in the appropriate direction, and the calculation with its operators will be performed. It seems that doing so will be able to increase the speed of your calculation by up to 200%. Just check out the video above to get a better idea on what I am talking about, and you might be interested in installing this on your smartphone. Great news for Firefox fans with the Nokia N9. Following the release of PR1.2 for the Nokia N9, a new version of Mozilla Firefox Mobile has also been released for the phone. The latest version of the browser has been designed to bring your mobile surfing experience even closer to the desktop version of Firefox. If you love visiting fully-featured websites that require Flash, you’re in luck. Together with a new Flash Player plugin released by Nokia, the browser can be used to surf sites that still offer Flash-only video and play some games on sites such as Kongregate. NetZero has hopped onto to the 4G bandwagon with the launch of its 4G Mobile Broadband service. Touted to be contract and commitment free, with no activation and overage charges – NetZero is even giving subscribers their first year of usage for free with the purchase of their NetZero 4G HotSpot or NetZero 4G Stick. The NetZero 4G HotSpot can support up to 8 WiFi-enabled devices, while the 4G Stick will support a single laptop via a USB port. Each plan is said to deliver 4G service with download speeds of up to 10Mbps and upload speeds of up to 1.5Mbps. Plans range from free (200MB/month) to $49.95 (4GB/month) and it is available now in over 80 cities nationwide including New York, Los Angeles, Chicago, Houston, Philadelphia, San Francisco, Washington, D.C. and Miami. Prices for the NetZero 4G HotSpot and NetZero 4G Stick are $99.95 and $49.95 respectively. While we haven’t put NetZero’s 4G network to the test yet, so we can’t tell you about how well it stands up against the competition, but the plans look pretty tempting especially for folks who don’t use the internet too much and can get away with the free plan. Head over to NetZero’s website to check it out. It looks like we’re one step closer to being able to own devices with flexible screens. The folks over at NEC announced that they are developing a super-thin battery that could be incorporated into credit cards or bendable screens. These batteries are called organic radical batteries (ORB) and can be printed into circuit boards that are only 0.33mm thick. They are also flexible enough to be used in bendy screens that we’ve seen from manufacturers like Samsung in the past. Right now, NEC has managed to come up with a prototype battery that’s about 3cm square and 0.3mm thick, which delivers 3mAh – enough to update a “small screen display” 2,000 times on a single charge. It is said to have a charge life cycle similar to that of lithium ion batteries that are used in most mobile devices right now. No word on when we’ll see these batteries on the market but we can’t wait to have wafer-thin tech to use in our daily lives. We know that the Samsung Galaxy S3 is one of the highly-anticipated devices of 2012, but what can we expect to see from the phone? Well if you guessed a quad-core processor based on how fast the adoption rate of quad-core processors have been this year, you would be right on the money according to a Samsung executive. The anonymous executive revealed to the Korea Times that the Samsung Galaxy S3 will be utilizing the company’s very own Exynos 4412 quad-core processor, ultimately making the Galaxy S3 the first phone from Samsung to utilize the technology and at the same time cutting down Samsung’s reliance on Qualcomm for their chips. While this piece of news seems to corroborate our earlier post regarding an alleged leaked photo, unfortunately none of this can be confirmed officially at the moment, but like we said, given the rate of adoption for quad-core processors this year, it would not be a stretch of the imagination if Samsung were to turn to quad-core processors for the Galaxy S3, so take this with a grain of salt for now and check back with us at a later date for more info! Sometimes attempting to get your bath’s temperature just right can be a challenging task. It involves a lot of trial and error and a lot of water wasted, only to have the water’s temperature drop after a while. Looking to put an end to water wastage are designers Sunmi Hwang, Hyunjoo-Lee & Jiwon-Seok who came up with the Warm On concept, a pebble like device with a heater built into it that you can place in your bath tub that will help maintain the temperature for a set duration. The concept is based on the magma of a submarine volcano whereby water flows over it thus heating up. In this case, the heater of the Warm On will be placed at the bottom while the water flows through a crevice of the device which will help detect and maintain the temperature of the water in the bath tub. It’s a pretty cool idea, not to mention it’s not very intrusive either, but unfortunately at the moment the Warm On exists only as a concept although we’re not opposed to seeing it made a reality. What do you guys think? Any takers? If traditional cameras aren’t your thing, and you’re more into cameras that offer up funky and artsy effects (i.e. lomography cameras), the folks at Superheadz have returned with a new offering in the form of the Digital Harinezumi 3.0, a retro-style digital camera shipped with a variety of filters and effects to satisfy your artistic needs, such as monochrome, vivid colors and various aging effects, and new to version 3.0 of the camera include overexposure effects, and extreme noise modes which are achieved by a 3.5x zoom in on the photo. Unfortunately if you were looking for a high-end camera with impressive hardware specs, you might want to look elsewhere since the Digital Harinezumi 3.0 comes with a mere 3MP image sensor, video capture at 30fps and support for ISO 100 or 800. Then again if you were to buy this camera, chances are you’re after the effects it produces and not its ability to shoot sharp and noise-free images in low-light situations. For more information, head on over to Superheadz’s website where you will also be able to order one for yourself at around $188. We’ve seen some pretty interesting iPhone cases in the past, and if you enjoy the idea of being able to turn your iPhone case into a weapon, you might be interested in checking out this particular rendering of an iPhone case that looks like it could double up as a set of brass knuckles, although in this case it looks more like stainless steel rather than brass, but we think you get the drift. Fortunately (or unfortunately depending on how you look at it) this brass knuckles iPhone case appears to be merely a concept at this point in time. After all, brass knuckles alone look like they could do a number on you, and if those spikes were to add to that damage, let’s just say that the end results would not be pleasant. In any case, we’re not sure how well one could equip a set of brass knuckles with an iPhone in hand anyway. How many of you guys out there wouldn’t mind owning a set of these anyway? In terms of glasses-free 3D smartphones, we have the HTC EVO 3D and the LG Optimus 3D, both of which were released last year although the LG is currently the only one with a successor. We guess the novelty of a glasses-free 3D experience on your smartphone did not really take off, but that has not stopped a Chinese company from releasing a 3D phone of their own in the form of the Zopo ZP200. The device sports a 4.3” 960×540 display, soft keys, a rear-facing 8MP camera, a 0.3MP front-facing camera, dual-SIM card slots and is running on the MTK MT6575 chip and will come with Android 2.3.6 Gingerbread preloaded, although it seems that the manufacturer has promised that an update to Android 4.0 Ice Cream Sandwich will be made available at a later date. The Zopo ZP200 is expected to go on sale come mid-April for a somewhat affordable $299, although we’re guessing that you’ll be hard pressed to find it on sale outside of China.